Clicking on this image will show you a large color picture of the game board that you can show your class. My son's pretty young but is he still going to whoop me? 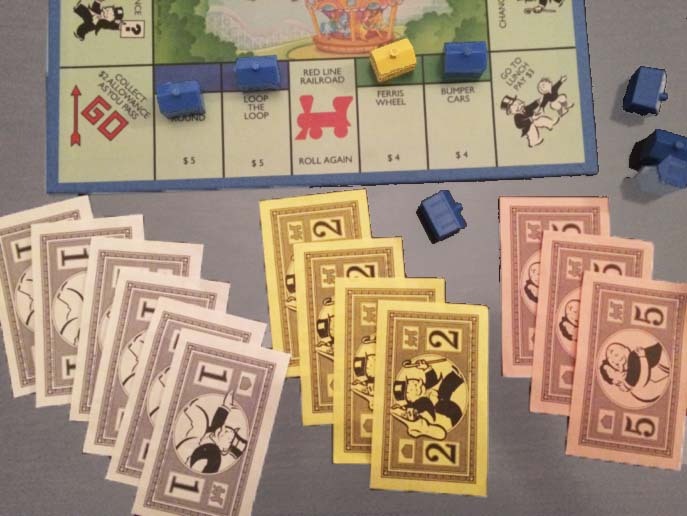 We were playing Monopoly Junior. Can you decide who will win? 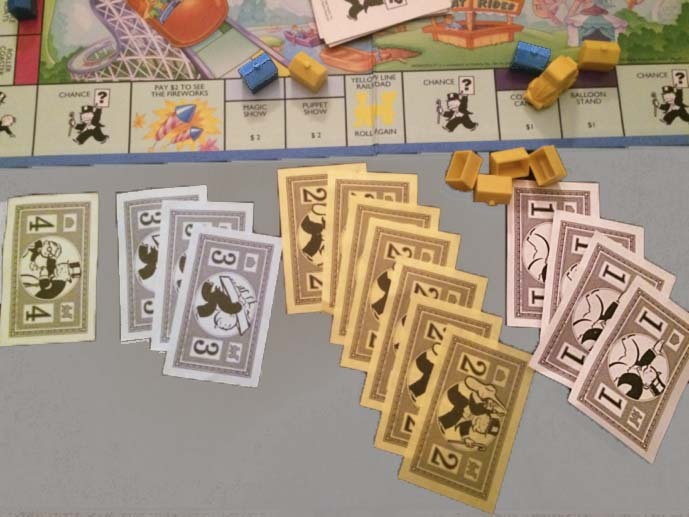 In this activity use addition and/or multiplication in authentic problem solving to determine who should win in a game of Monopoly Junior. Clicking on any of these images will show them larger in a new window.